It seems that I have A LOT of guest posts scheduled all at once. It might just be like playing "Where's Waldo?" to see if you can track me across the blogisphere. In the next few weeks, I will be taking a few trips to some of my buddies' blogs. I hope you will come stop by and say hello! So in case you need some clues to find me in the past week, here we go! 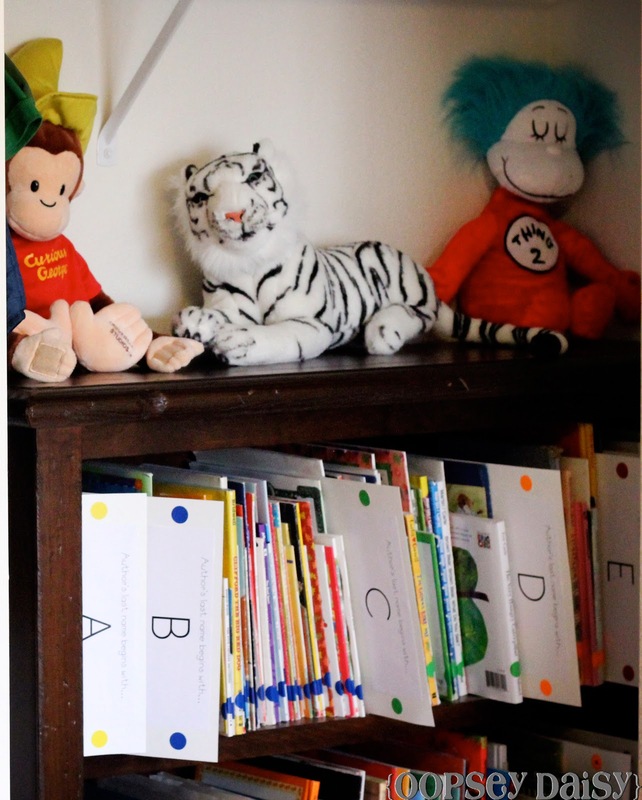 On Monday, I did a round-up of some of my favorite ideas for kids at Mom Endeavors. 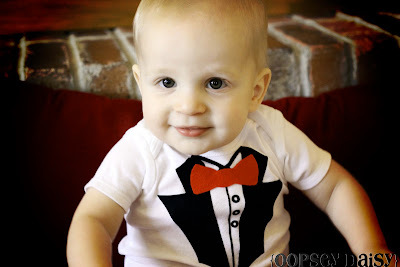 On Wednesday, I showed off my nephew's tuxedo onesie over at The Scrap Shoppe during Michele's maternity leave. Is my nephew a handsome little guy or what?! Today, I am thrilled to be posting at Brown Paper Packages. Kierste is hosting a fabulous series called "A Place For Everything." I am showing my book organization overhaul. This project was a doozie! Come and check it out! 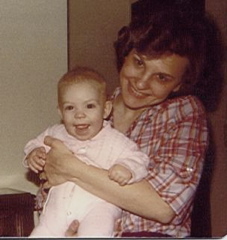 I really owe all of Oopsey Daisy to my Mom. 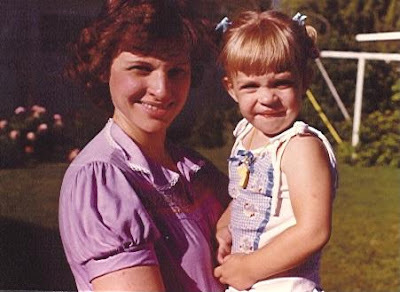 She taught me what it means to be a mother. A wife. A teacher. A creator. A homemaker. A friend. Growing up, creativity was not my strong suit. My Mother's old Bernina sewing machine has always been her truest ally. Believe it or not, I had to be forced to sit down and sew when I was a kid. I had no patience for it! Imagine my Mama's surprise when I asked her to help me make a quilt for my husband's Christmas gift just a few years ago?! 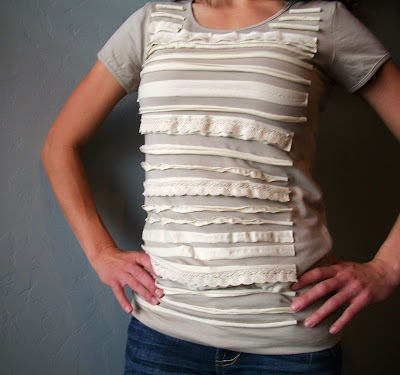 That sewing project was the beginning of all my creative endeavors, and truly the beginning of this lil' blog. Many of the crafts I share can somehow be traced back to memories of crafty endeavors from my childhood. 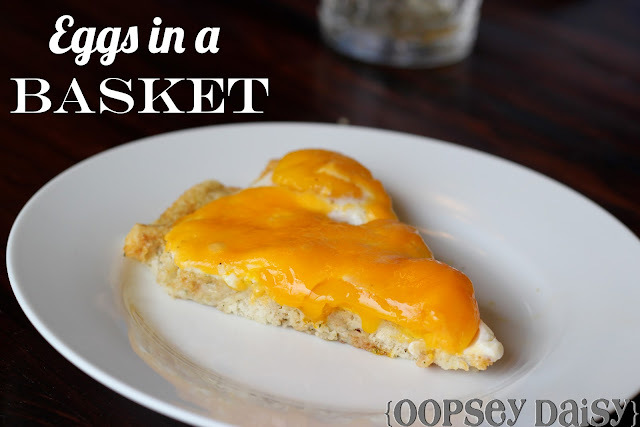 Eggs in a Basket was a family favorite for my siblings and me growing up! And really, nothing says Easter like fresh eggs although this is a tasty breakfast we enjoy all year long! I do not always enjoy eating eggs for breakfast, but this meal is yummy! To begin, you are going to make a simple crouton crust. 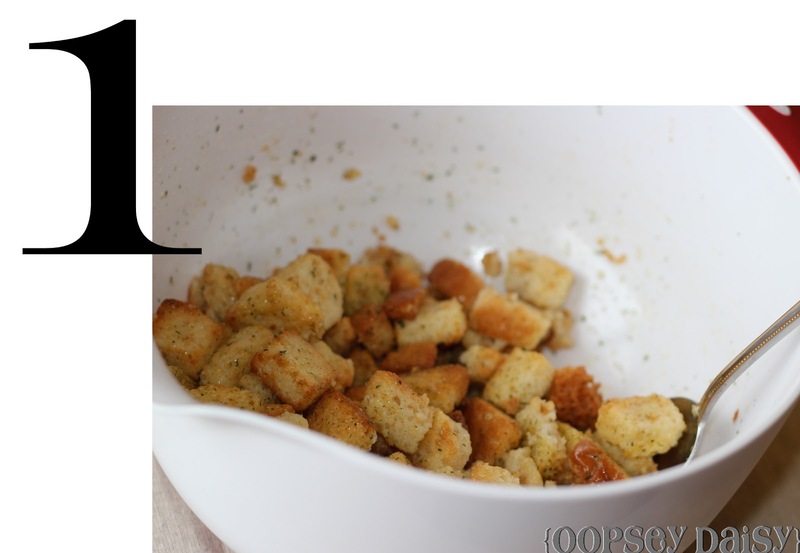 Mix one 6-oz box of seasoned croutons with 1 c. of warm water. Mix until nicely moistened. 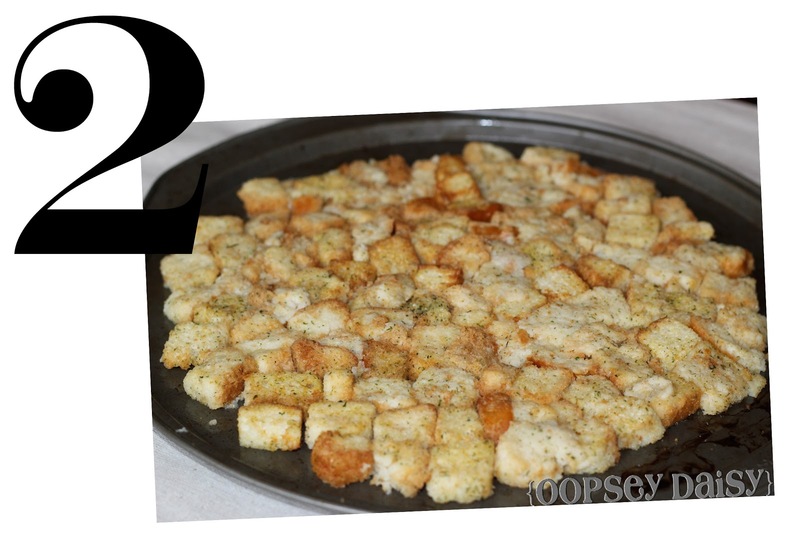 After greasing a 12-inch pizza pan, press the crouton crust evenly in the pan. It won't quite fill the pan, but that's okay. If you have followed my blog since the beginning, you will remember a not-as-cute version of this same idea. 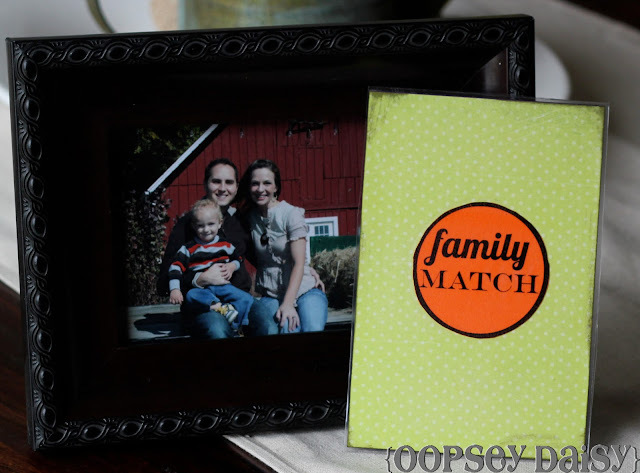 Family match was created as a way to show Little Man the familiar faces of the people he knows and loves. Because my husband's family lives in another state, we also needed a way to help him remember the faces he doesn't see quite as often. Little Man absolutely adores this game! We throw this into our church bag, and he loves to look at the pictures. But with 2 new sisters-in-law and a few new additions to the family, we needed to update our old game. 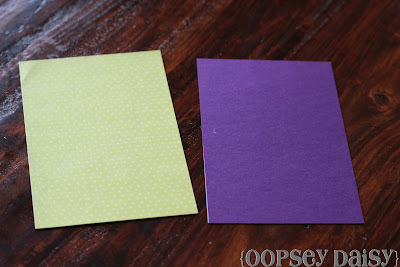 I created simple cards by pasting scrapbook paper and cardstock to each other. The cards are about 4" x 3". I distressed the edges of the cards just slightly. Don't you love distressing?! It adds the perfect touch of character! When faced with one of life's truly hard choices (Donut vs. Egg hunt), definitely choose the donut. Sugar that you don't have to hunt for--totally convenient. He's (finally) off to the races! Hold on to those eggs! 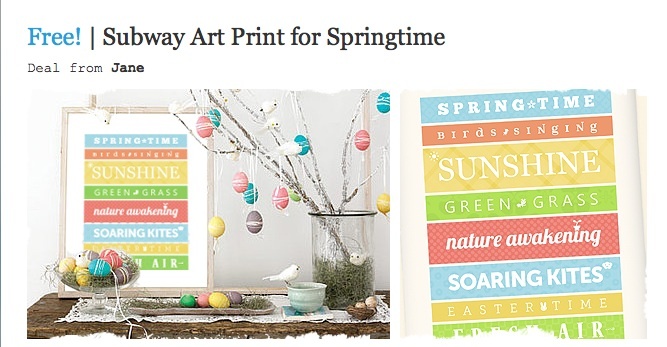 Upgrade your egg hunting basket. 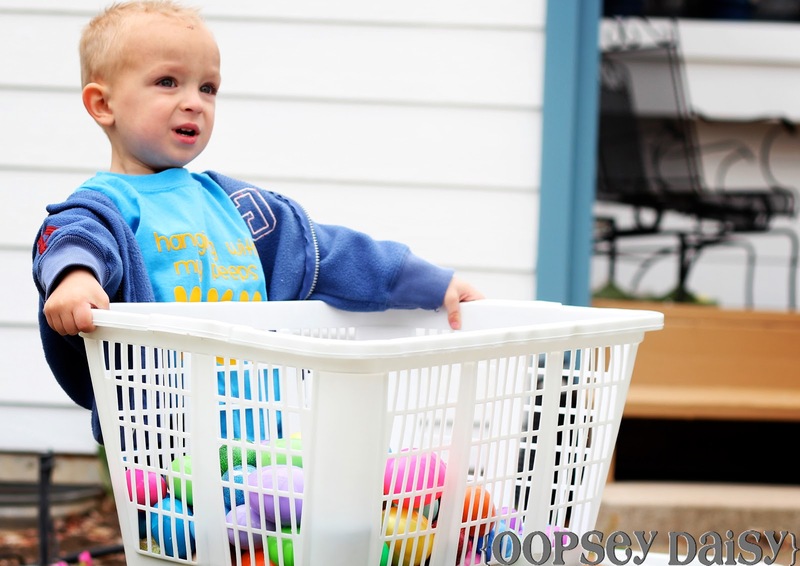 Definitely hire a sweet little guardian to watch over all those eggs. Whatever you believe about Easter, I hope you make some memories today. I love being able to introduce my readers to new and wonderful things! And believe me--I won't waste your time on anything I don't LOVE myself. 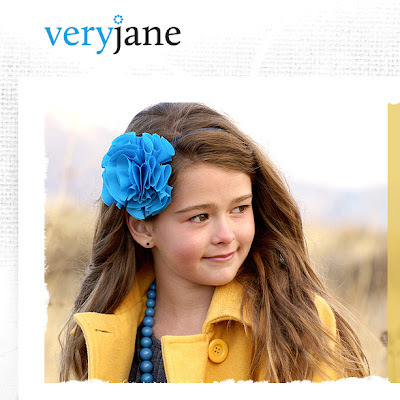 Today, I am thrilled to introduce you to a brand spankin' new blog called Very Jane. 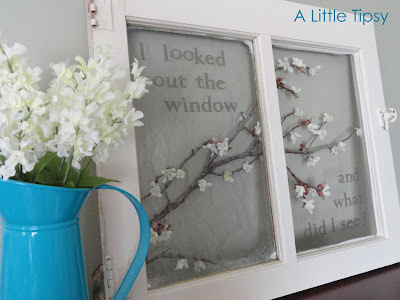 Hot off the press, this lovely blog just launched this week! 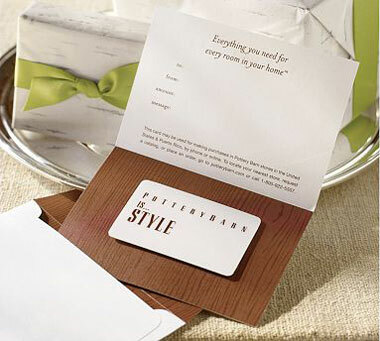 You have the chance to win a $25 Pottery Barn gift card! 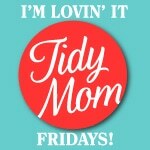 Yes, free money to spend at Pottery Barn! I am already jealous of the winner! Who doesn't love Pottery Barn?! 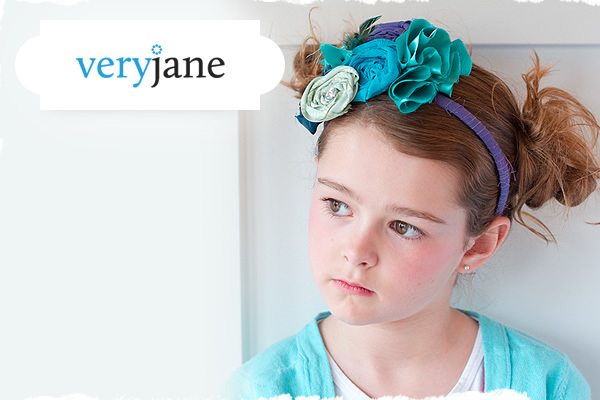 I have been drooling over their spring collection! 1. 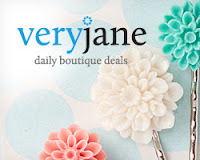 Go to Very Jane and sign up to receive the daily newsletters. All you have to do is type in your e-mail address! Leave me a comment letting me know you did. 2. 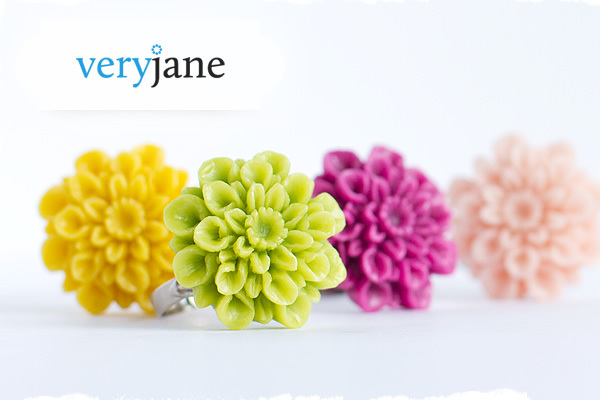 "Like" Very Jane on Facebook and leave me a comment. This giveaway will close on Tuesday at midnight, so enter while you can! But the great deals will just keep on going! Remember how yesterday I mentioned that I was living on chocolates??? Everything is better with chocolate. 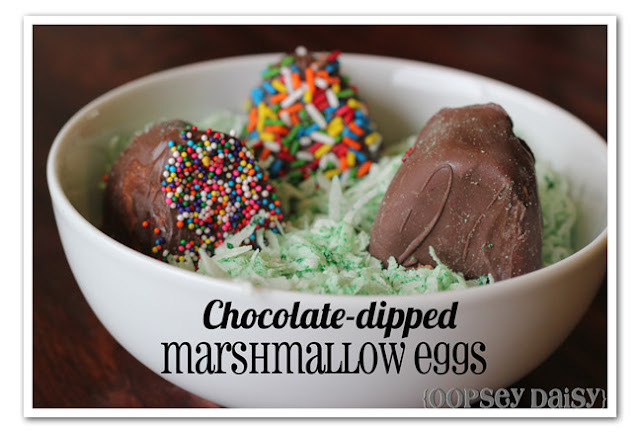 Yes, Easter is a measly 3 days away... but this is one idea you can bust out in just a few minutes! 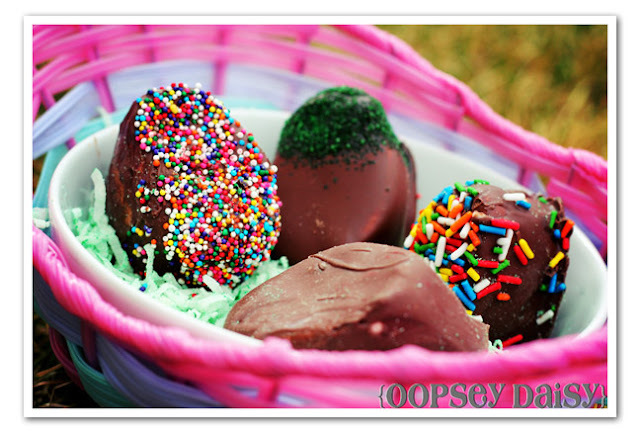 Tis the season for decorating eggs, and these eggs satisfy my sweet tooth! 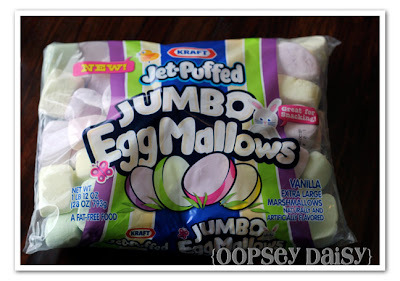 I did a happy dance when I stumbled upon these jumbo egg "mallows" at the grocery store. I knew they were bound to make a fun *and sweet* project! 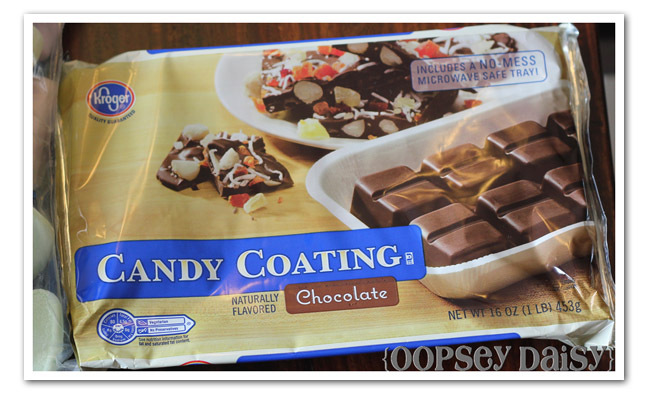 I followed the directions on the package to melt my chocolate candy coating. I may have had to taste test this. Several times. 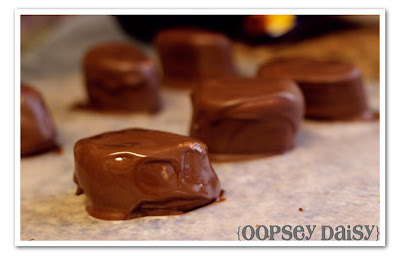 Like, I ate so much that the chocolate dried up and I had to reheat it! 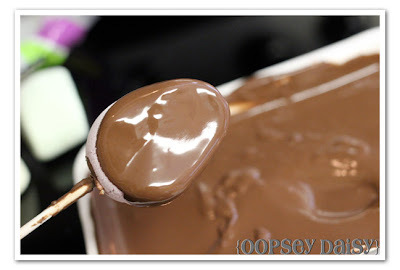 I stabbed a mallow egg with a lollipop stick (I also tried toothpicks) and dipped it in the chocolate. Then, I let them dry on wax paper. 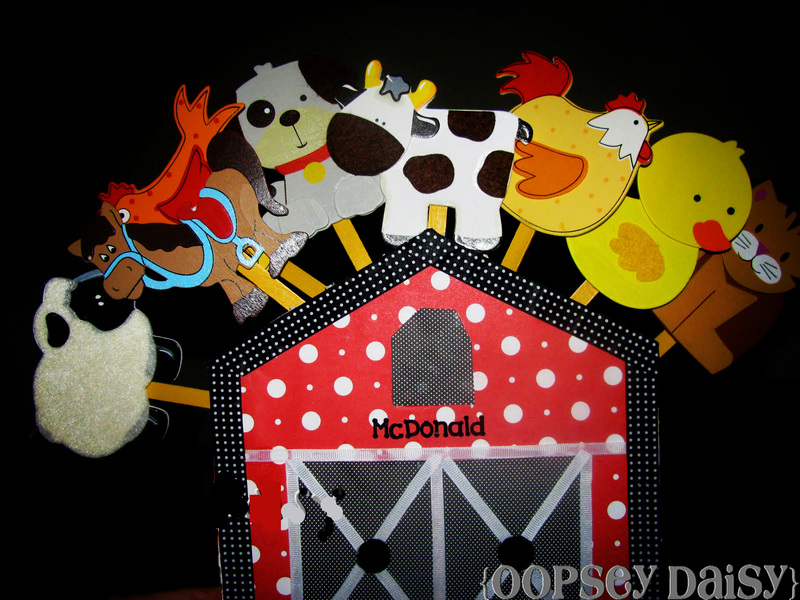 The fun part was busting out all of my decorating supplies and getting creative! I used some frosting, sprinkles, M&M's, and left some just plain chocolate. This is where you can get creative! 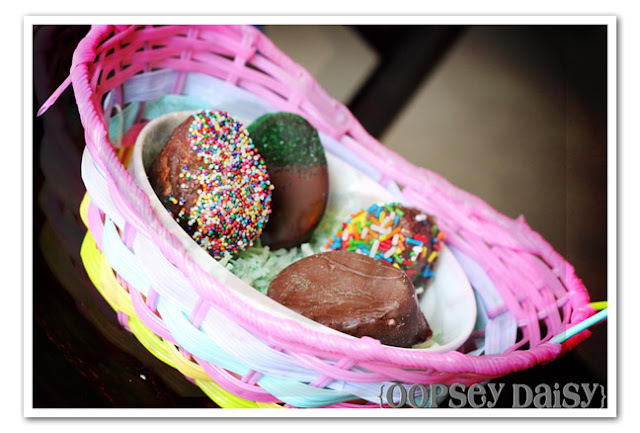 Throw in some green-tinted coconut, and you have your own special Easter egg basket! It's like a little Easter s'more without the mess!! 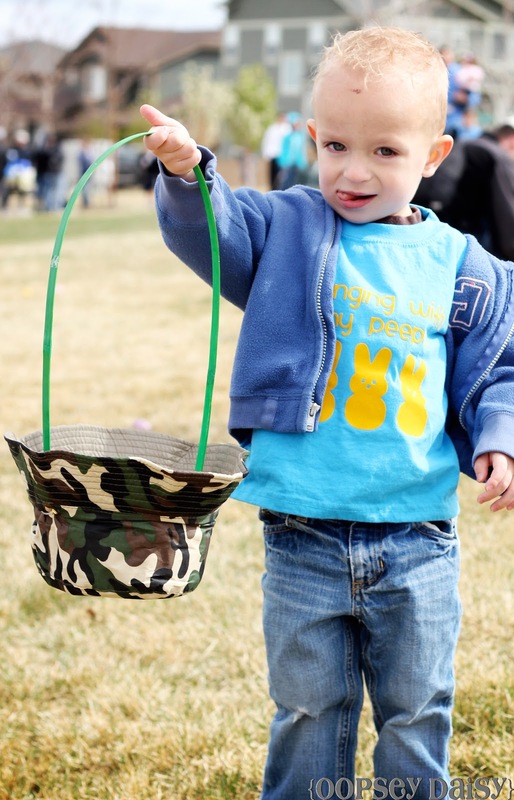 Wednesday’s Wowzers: Almost time for egg hunting! Oh my friends, my friends. It has been one of those weeks... I've been living on chocolate and praying for the sunshine to come back to Colorado! I am absolutely positively jumping for joy at the thought of Easter Sunday this weekend! 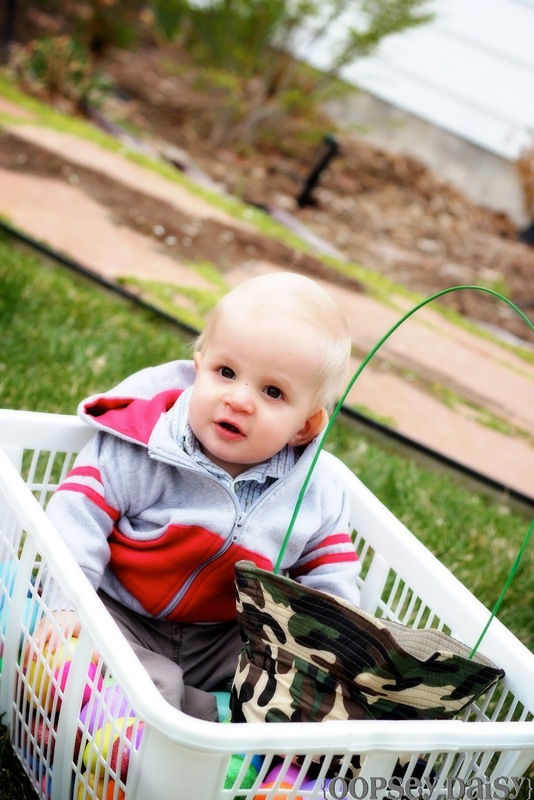 Helping Little Man hunt down Easter eggs is just what I need. Oh yes, and a bag of mini eggs wouldn't be so bad, either! Have you heard of icandy handmade??? Well, it really is jam-packed with eye candy! 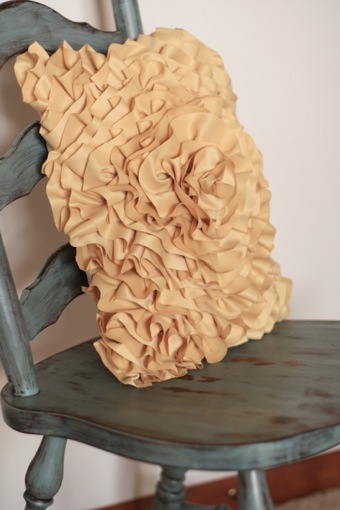 Love this ruche throw pillow! 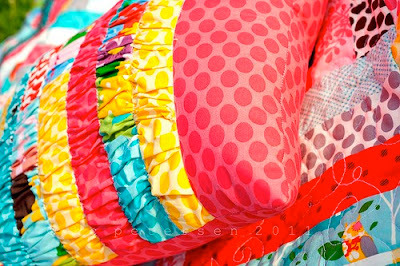 So bright, cheerful, and colorful! Who thinks of using a ladder as a laundry rack?! Ummm, Little Lucy Lu does! How clever and cute!! The color is just perfect, too. When I married my husband, I also married his JUNK. 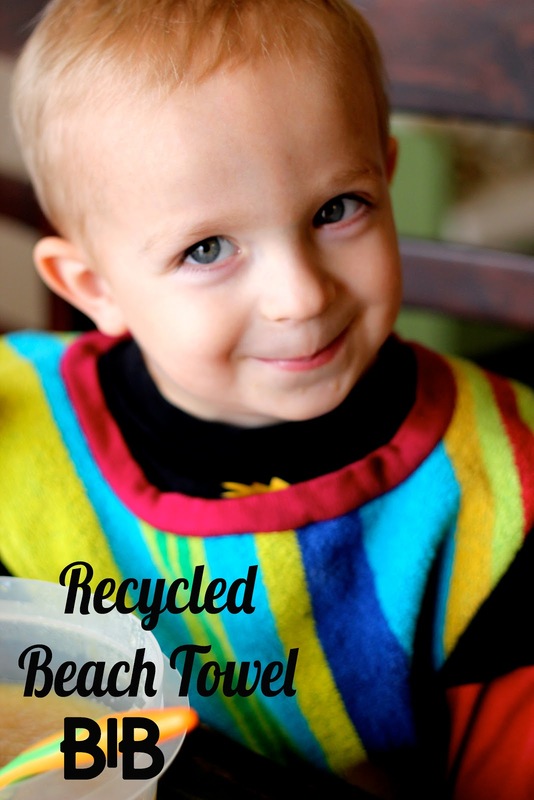 In the past, I threatened to throw away his 47 beach towels. (Okay, maybe there's not 47, but we definitely have a surplus of beach towels!) Now I think I will be hanging on to all of those towels because they make the perfect bibs!